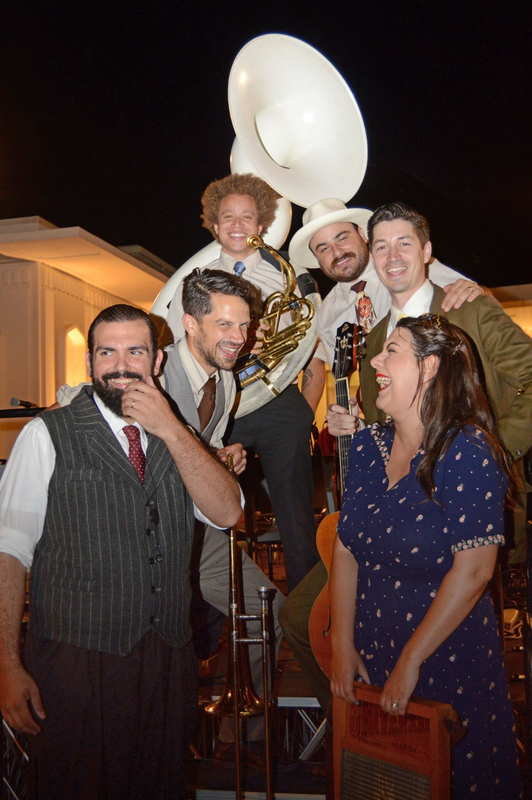 Based in Los Angeles, Holy Crow Jazz Band performs old-time jazz and blues from the 1900s throughout the 1930s. The band’s repertoire includes many popular and obscure songs recorded by such artists as King Oliver, Bessie Smith, Bix Beiderbecke, Jabbo Smith, Louis Armstrong, Cliff Edwards, as well as original compositions. Holy Crow is led by Mario J. Maggio (clarinet/sax/guitar) and Jessy Carolina (vocals/percussion) and features the finest musicians in Southern California.